The circumstances that impelled Victor Grossman, a U.S. Army draftee stationed in Europe, to flee a military prison sentence were the icy pressures of the McCarthy Era. Grossman—a.k.a. Steve Wechsler, a committed leftist since his years at Harvard and, briefly, as a factory worker—left his barracks in Bavaria one August day in 1952, and, in a panic, swam across the Danube River from the Austrian U.S. Zone to the Soviet Zone. Fate—i.e., the Soviets—landed him in East Germany, officially the German Democratic Republic. There he remained, observer and participant, husband and father, as he watched the rise and successes, the travails, and the eventual demise of the GDR socialist experiment. A Socialist Defector is the story, told in rare, personal detail, of an activist and writer who grew up in the U.S. free-market economy; spent thirty-eight years in the GDR’s nationally owned, centrally administered economy; and continues to survive, given whatever the market can bear, in today’s united Germany. 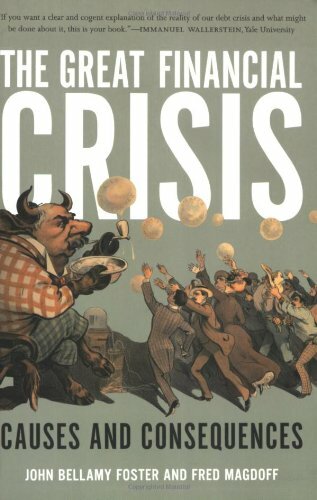 Having been a freelance journalist and traveling lecturer—and the only person in the world to hold diplomas from both Harvard and the Karl Marx University—Grossman is able to offer insightful, often ironic, reflections and reminiscences, comparing the good and bad sides of life in all three of the societies he has known. His account focuses especially on the socialism he saw and lived—the GDR’s goals and achievements, its repressive measures and stupidities—which, he argues, offers lessons now in our search for solutions to the grave problems facing our world. 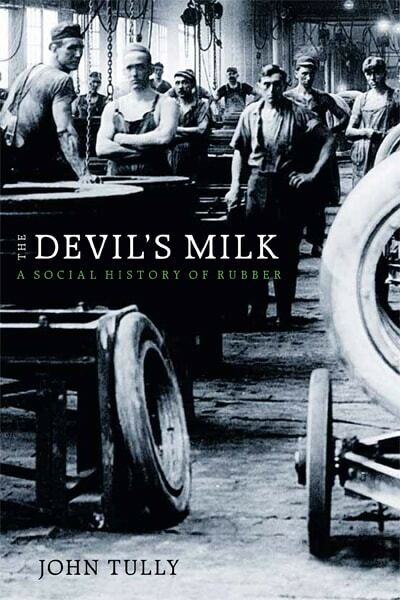 This is a fascinating and unique historical narrative; political analysis told with jokes, personal anecdotes, and without bombast. A Socialist Defector offers scholars and activists—and anyone else who cares about real history and the future of humanity—a unique eyewitness account of the Cold War and much more. Victor Grossman’s riveting narrative compels us to reconsider what we assume to be true about life on both sides of the Berlin Wall—and about the United States in the present day. 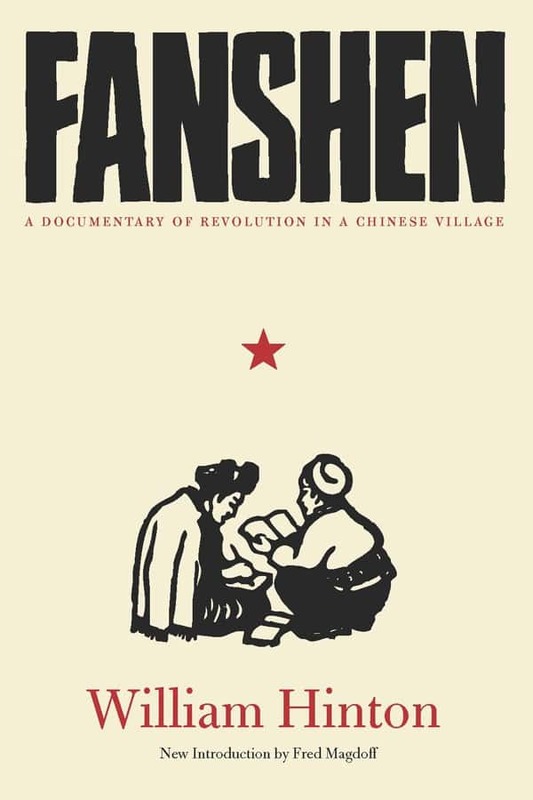 Nuanced, dialectical, and wary of dogma from all directions, this real-life story of immense tragedies and inspiring achievements never wavers from idealism for the future. This book is a gift to readers who hunger for firsthand insights about pivotal historic events, and a challenge for us to think anew about ideological divides and the complexities of human experience. Victor Grossman is the American who went into the cold, an eager young socialist who fled the repressiveness of his own country by crossing the Danube into the forbidden landscape of Soviet-controlled eastern Europe. Grossman pierces through the warped strata of prejudice and propaganda to animate the lives of others, who have for so long been shielded from our view. From his unique vantage, Grossman gives us a clear-eyed assessment of the Cold War and the aftershocks from the fall of the Berlin Wall, as the predatory wraiths of neoliberalism began to circle the ruins of the Eastern Bloc. With the narrative gifts of a novelist, Grossman confronts us with our own secret history and the consequences, both human and political, of an ideological war that was fought for decades in the shadows whose generational reverberations are only now coming into focus. Writing from a unique inside perspective that few have heard before…. What the book does so well is give the reader a picture of a life that few in the USA understood. We were brought up on stereotypical views of the GDR. You smashed that. 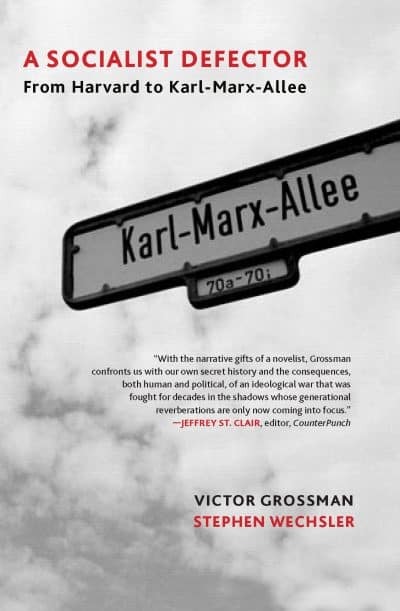 With his characteristically charming and wry style, Victor Grossman provides an invaluable insider-outsider perspective on the brief experiment in building socialism in Germany during the decades following the Second World War. Grossman has a keen eye for the multifaceted, sometimes contradictory, aspects of GDR society, both the heroic achievements building upon the best traditions of the German labor and socialist movements, as well as the tone-deaf absurdities of clueless bureaucrats. In a Europe currently being torn apart by the rise of the far-right, it’s time to re-open this chapter of history. I can think of no better guide to this history than Victor Grossman. Regardless of where you stand on the political spectrum, Victor Grossman’s book will change not just how you look at the history of the socialist and communist experiments of the 20th century but also how you look at almost everything happening in today’s world. Socialist Defector is quality literature at its best—a smart, passionate, and sometimes even humorous analysis of the rise and fall of a socialist society as seen through the eyes of someone who lived it from beginning to end. It will leave you equipped to come to conclusions about what it all means for where we are headed today. Victor Grossman’s memoir narrates his personal passage across the Cold War divide from West to East, and the mostly satisfying saga of his life as an American who enjoyed a happy family life and productive career on the opposite side. What sets this book apart is that he presents a humanitarian balance sheet that compares, contrasts, and evaluates each personal, family, economic, cultural, social, political, and military aspect of East and West Germany as people on the respective sides experienced them, both before the Wall came down and after. Some readers might be surprised to learn how many positive features of East German society were smothered and swept away along with the Stasi state. A Socialist Defector is an entertaining and informative look at Victor Grossman’s life, beginning the day in 1952 that Grossman chose to swim across the Danube under threat of being jailed for his political beliefs. With an astute eye, and the benefit of two cultures and two languages, Grossman regularly critiques mistakes made by the leadership of the GDR, his adopted home of thirty-eight years, and the re-unified Germany of the past twenty-eight. 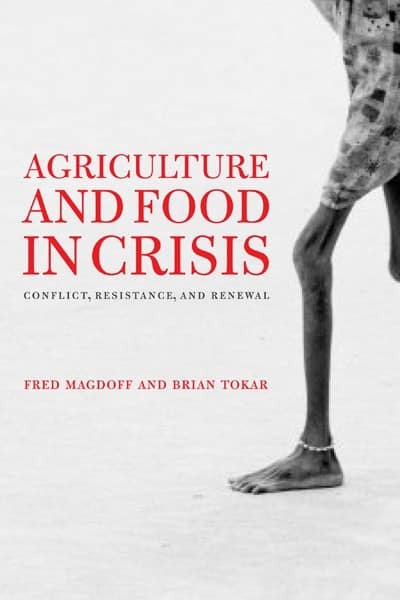 Grossman has, as he says, ‘an unusual opportunity to make comparisons.’ And he shares those with the reader in a fair and optimistic tone, with the hope for the possibility of a better world. Victor Grossman was the Berlin Correspondent of Outlook Magazine until it folded. We always appreciated his reporting and analyses, especially the human feeling he brought to them. As someone who experienced the major ideological divide of the last century, Victor gives us a vivid picture of both sides. His many readers will appreciate these qualities in A Socialist Defector: From Harvard to Karl-Marx-Allee, his latest book. This is the first book I know by an American author who, based on years of experience in the USA and the GDR, is able to report on the complicated, difficult path of East Germany, first toward socialism and then back to capitalism—while never ignoring other world developments. Noteworthy is the combination of a journalist’s sharp eye with the hopeful, enthusiastic standpoint of a believer in socialism. The book reads like a detective novel—and contains descriptions of some little-known crimes as well. It will be of interest to Bernie Sanders enthusiasts in the USA, for Grossman dreams of a new and different world—a very realistic dream, built on the incredible life of a man of ninety. This book should be translated into German; it is urgently needed in every German school, and not only there.